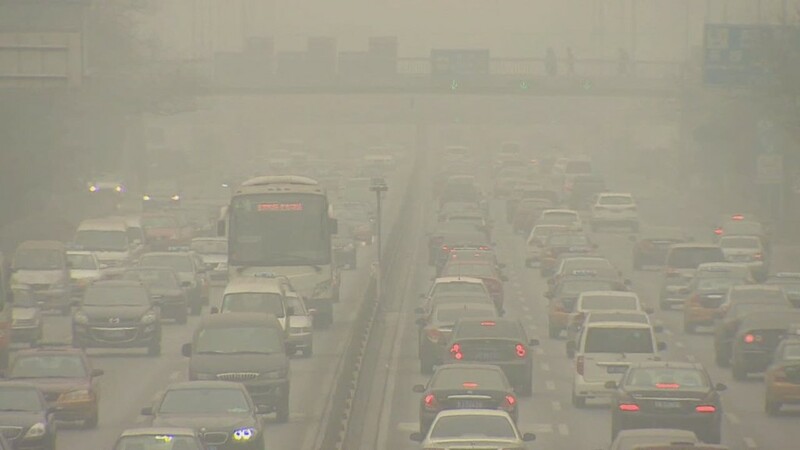 A majority of American companies operating in China are having trouble recruiting senior executives from abroad due to rising concerns over intense air pollution. Fifty-three percent of firms are having trouble filling executive roles, according to a survey released Wednesday by Bain & Company and the American Chamber of Commerce in China. It is the first time a majority of respondents have pinned recruiting troubles on China's smoggy skies. Last year, 48% of companies cited the issue, up from only 34% in 2013. Some of the world's most polluted cities are located in China, and residents are speaking out in greater numbers about choking air pollution, contaminated food, and water that is unsafe to drink. American businesses also complained of receiving a chilly welcome in the world's second-largest economy. Forty-seven percent of respondents said they felt less welcome in China than before, and only 10% said they felt more at home. Another 43% said they detected no change. Protectionism is another worry. Fifty-five percent of respondents said they believe foreign firms were being singled out in recent enforcement campaigns, making many of them less likely to invest in China. Still, businesses remain upbeat about their short-term plans in the country. Seven out of 10 companies said they were optimistic about the next two years, especially when it comes to service industry growth. The annual survey results are based on responses from 477 of the chamber's members.